Blog(dr. moshaks) offers the possibility to comment on the publication in which the content. You have the right to participate as each comment users, not to publish any content that could be harmful, illegal, libelous, contrary, abusive, instigator, dirty, pestered or something like that. 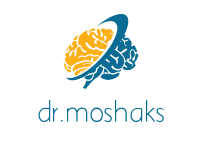 Comment in the blog(dr. moshaks) prefers your name profile. You can use a pseudonym, but never allowed to spoof the name of any person or entity.